Both these shadow planets will remain in same signs till 17:10 hrs IST on 20 September 2020. In general, these transits for next 18 months will be beneficial for people born under Moon Signs of Aries, Leo, Libra, Capricorn, Aquarius (partial) and Pisces. Aries will act with confidence. There can be some trouble with siblings and health of father/mother. Taurus will have sudden shocking events to face. Not good time for Geminis to search for or enter into new relations. Cancer will have sudden changes in life/job, health of spouse or relation with them will deteriorate. Insomnia can bother at nights. Aries : Self Confidence will increase. Spiritual acitivities and pilgrimages will be satisfactory. There can be some disputes with siblings and parents. Health of elders and kids at home will demand your attention. Death of a close relative possible. Taurus : Sudden mishaps, financial losses, ill-health or death of an elder family member, changes in or loss of job can happen. There will be few weeks or months of financial crunch. Disputes with higher officials possible. Avoid confrontations with law enforcement. Late night parties, drives should be avoided. Gemini : Not a good time for new relationships or getting into matrimony. But job front is good. Business partners can have difference of opinion. Ego should be curbed. Cancer : Spouse health, sudden changes in job front, unexpected and uncontrolled expenditure, seperations in family possible. New job or changes at work can happen during middle of 2019. Late night work, new assignments can lead to insomnia. Health of kids can also be a cause of concern. Lovers can have better time. Leo : Everything related to finance, family and friends will be against you. Few friends will play wicked games at your back. New job or assignments will not be satisfactory. Seperation from kids or lovers possible during most part of 2019. There can be better prospects from early 2020. Virgo : Try to avoid repair work or construction of house. Now good time to buy new vehicle. Superiors can force you to do some corrupt and secret activities at work. Income will increase but pressure and conscience can make you think about quitting or changing job. Honesty can go against you. Politicians will face tough fight from all corners. Libra : Your double talk will be exposed and criticized. There will be seperations and disputes with siblings and elders in family. Good time for higher education, research, foreign travel. Confidence will be less. Need to consult experts regarding important decisions. Scorpio : Sudden monetary gains possible. But bad investments, real estate, contructions can lead to expenditure. Health of family members will bother you. From late 2019 till early 2020, life will take multiple turns but end will be positive. Do not take or give loans in 2019. Maintain secrecy at work and discuss only with very close associates. Sagittarius : Health will worsen in 2019. Interference in issues of others will be criticized. You will be publicly blamed for past events. Newly married can have differences with spouse and in-laws. Elder couple should take care of each others health. There can be loss of income, closure of business. Capricorn : You will be critized for neglecting family and relations. There will be chances to form new relations but you need to chose after careful examination. Irregular diet can cause health upsets. Immoral behaviour should be curbed. Aquarius : Seperation from lovers and kids possible. Family can expand suddenly. There will be few good moments which will be cherished in future. This is golden period, which should be invested in building future. Pisces : Best period for professionals, students. Long time dreams will come true. Changes possible at home and work. Income will increase based on your 'Smart Work'. Investments can be profitable. There will be atleast 1-2 life changing positive events. Whatever you desired in your past lives but could not achieve becomes your desire in this life. Rahu is synonymous with, whatever you could not achieve in your past life karmas and you obsess for in this life time. Unless you conquer or achieve it, you would not be satisfied in this life. Thus, Rahu denotes the areas of dissatisfactions in life . Example : If you hve Rahu in your 5th house, you may not have children or long for kids who live like you wanted to. You may also suffer from lack of love or lovers cheating on you. If Rahu is positive, you will try to find solace in other's kids. If Rahu is evil, you may become child molester. 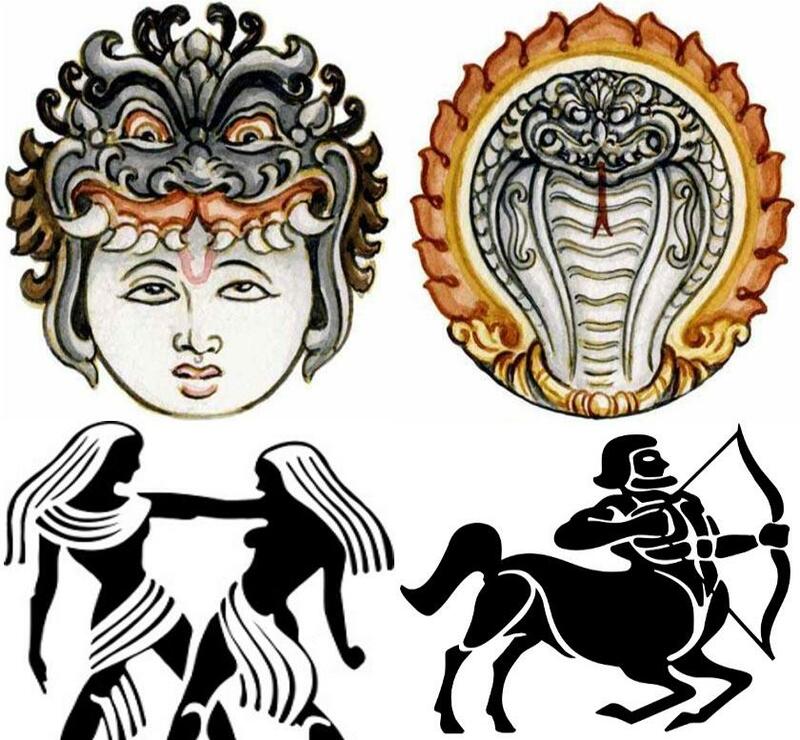 Similarly if Rahu placed in 7th house, dissatisfactory marriage. While Rahu obsesses and Ketu believes in renunciation. If you have Ketu in your 7th house, you may have a very attractive personality, but none of your relationships would seem to work out and at some point in your life, you may start feeling that you wouldn't want to marry or get into a committed relationship. Your aura will attract a spouse who is more spiritual and less materialistic, which makes you more detached. Ketu has conquered all material things in the past lives and thus is left with no desire in this life. The point of presence of Ketu in your horoscope denotes the areas you just don't care much about. Ketu is spiritual in that sense. In transit, check which cusps/houses Gemini and Sagittarius are inidcating w.r.t your lagna. If you are born in last degrees of Leo ascendant or initial degrees of Virgo ascendant, your long cherished desire for a job/career will happen due to Rahu in Gemini but there will be no satisfaction. You will change place of residence or work due to Ketu in Sagittarius but remain unattached to new environment. Change of vehicle also possible.